LOS ANGELES — Rosa Foods, the makers of Soylent, today announced a 100,000 meal donation to New York partners, Island Harvest Food Bank and City Harvest, as part of their #SoylentForGood initiative. Soylent’s mission is to eliminate unhealthy, unsustainable, and expensive food voids. 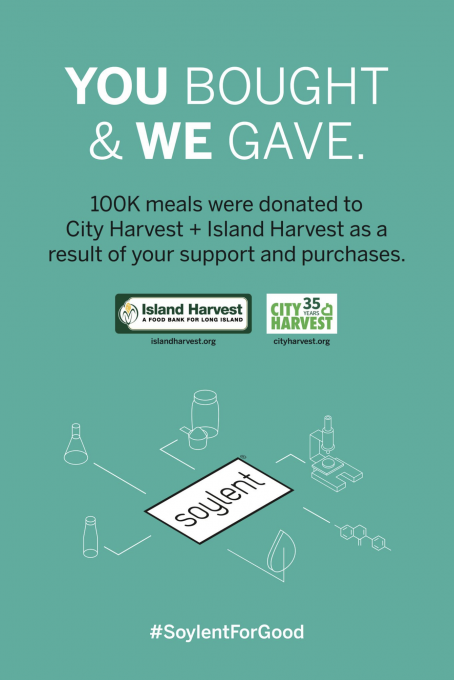 This donation marks a significant step in Soylent’s campaign to raise awareness about food insecurity and to address the issues surrounding our food supply throughout the country and across the world. Going further, for World Food Day 2018 on October 16th, Soylent will be donating the funding equivalent of one meal to World Food Program USA for every bottle of their ready-to-drink meals sold on Soylent.com. Through this effort, Soylent hopes to engage their consumers in the fight against both hunger and food insecurity. Soylent is a pioneer in food technology, producing functional foods that are good for the body and the planet. 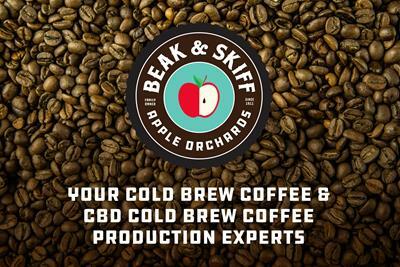 In 2013, Founder & Chairman Rob Rhinehart developed the first iteration in his kitchen after recognizing the need for a simpler, more efficient food source. Since then, Soylent has made it their mission to eliminate unhealthy and unsustainable food voids everywhere through science and technology, providing complete, convenient and sustainable nutrition to the world. Available at Soylent.com, on Amazon, and in select retail locations, Soylent’s innovative products include Original Powder and 14oz Ready-to-Drink bottles available in Original, Cacao, Cafe Mocha, Cafe Vanilla, Cafe Chai, Strawberry and Vanilla. Soylent is headquartered in Los Angeles, CA.For additional information on retail locations go to https://www.soylent.com/stores/.